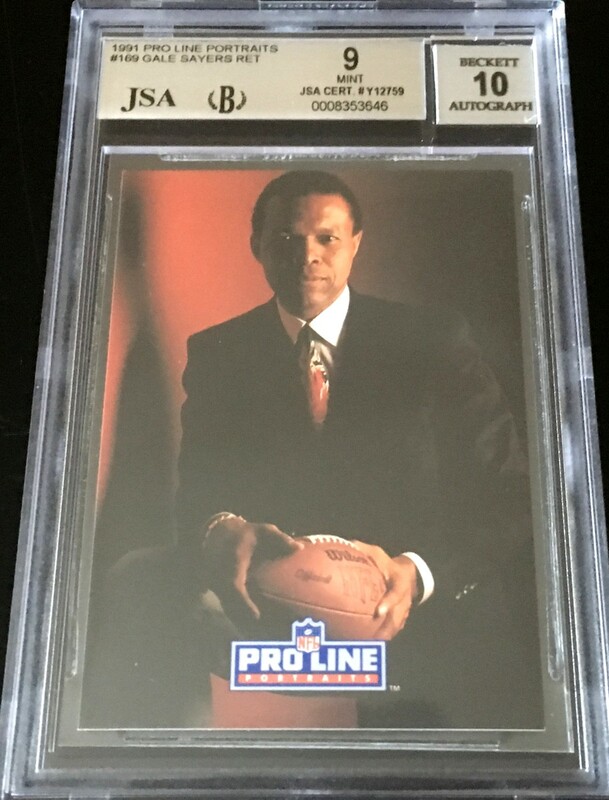 1991 Pro Line Portraits card autographed in black marker on the back by legendary Chicago Bears Hall of Fame running back Gale Sayers. Obtained in person. 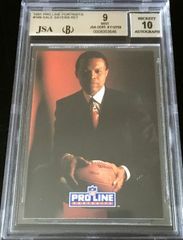 Authenticated by JSA and graded 9 MINT by Beckett Grading Services. The autograph is graded a perfect 10.